The French music landscape continues to uncover surprising gems. 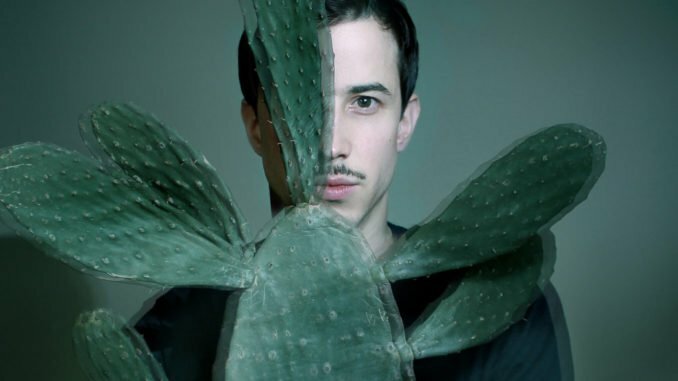 The latest to emerge from the burgeoning electronic scene is Parisian electronic singer/producer Jeremie Whistler, who pre-empts the release of his debut album ‘The Dawn’ with a brand new track ‘Take Shelter’, drawing on his various jazz, soul, electronic influences. He says: “‘Take Shelter’ is a collaboration with Sylvain Ollivier who worked with me on 3 songs for the album, he came to me with an instrumental and the metallic and distant sounds evoked an apocalyptic scene seen from far away. I called the song after the eponymous movie because it reminded me of the ending scene, with the two characters facing the storm forming. I thought it was a very troubling scene, the stillness of the characters when they should be panicked, their resignation”. Today XS Noize are pleased to premiere ‘Take Shelter’ from the new album. Jeremie brings a strong visual concept to his work. From the dreamlike landscapes in the ‘Cold Heart’ video, to the trippy visuals of ‘Holding On’ (shot at the Hunting and Nature Museum in Paris), both directed by Rémy Disch, and the kaleidoscopic ‘Run Into The Sun’, directed by Jeremie himself. He now offers up a new visual clip for ‘Smoke Signals’, an enigmatic tale of unstoppable transformation. On stage, Jeremie wears an ornamental piece made of golden feathers created by artist Xavier Noel, and the band is surrounded with big paper origami that light up in tune with the music. Described by French tastemaker publication Les Inrocks as “tour de force, an artist possessing a unique emotional fragility”. The acclaimed debut EP ‘Flakes’, co-produced with Angelo Foley (Christine & The Queens) and Apollo Noir (Tigersushi), drew comparisons with James Blake’s dark electronica ballads and Björk’s quirky eclecticism; and spawned the two hit singles ‘Cold Heart’ and ‘Run Into The Sun’. Having been ensconced in the studio writing, Jeremie is now ready to release his long player effort, ‘The Dawn’, 13 majestic tracks of dark, emotive electronica with a melacholic emotional core. He says: “‘The Dawn’ is a collection of songs about surrealistic dreams and failed love stories. It heralds a new life, in which past hurts are left behind after they take shape. Sonically, i wanted to merge electronic and acoustic sounds and create lush and dark atmospheres. I also wanted to work as alone as possible to try and reach pure emotion, inviting now and then close collaborators.” Jeremie wrote, composed and produced the album himself with the the help of band member Sylvain Ollivier and French electronic producer Saycet. Three tracks also include a string quartet (Pop Quartet, led by violinist Celia Triplet) and the album was entirely mixed by Sébastien Cannas at Capitaine Plouf studios.